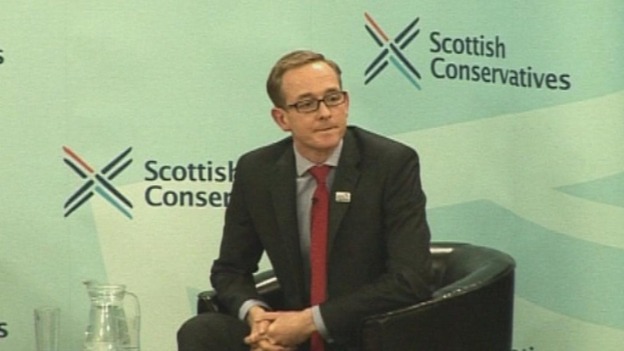 The Most Expensive MSP in Holyrood – John Lamont Re-Elected in Ettrick, Roxburgh & Berwickshire – How the Hell did he Do It? John Lamont Re-Elected – How in hell did he manage it? Given he was the highest expense claimant in Holyrood I was surprised that John Lamont managed to get himself re-elected as a Tory Party MSP in May of this year. But his tactics revealed him to be an effective campaigner who keeps his eye firmly on the mission to hand. He cares nothing for the Tory Party in Scotland using it as a vehicle to hitch a ride on until something more substantial ( a seat at Westminster). In his campaign literature he took great care to ensure he would not be associated with the Tory Party by omitting any mention of it. He actively promoted himself as being the only person capable of preventing the SNP from winning. Garnering, Lib/Dem and labour supporters to his cause. Emphasised his commitment to his constituents regardless of Tory Party policy. 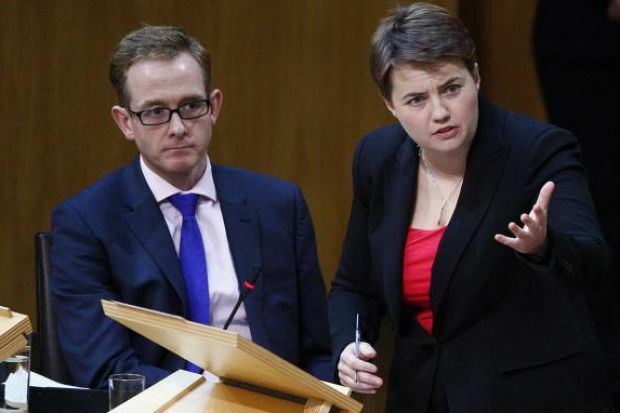 John Lamont, the Tory hopeful in Ettrick, Roxburgh & Berwickshire constituency claimed more in members’ expenses than Nicola Sturgeon, Ruth Davidson and Kezia Dugdale put together during the first nine months of the 2015/16 financial year. A trawl through the Scottish Parliament’s financial records shows most of the Conservatives elected in 2011 – many of them as list rather than constituency MSPs – are among the highest claimers of expenses across the political spectrum. Whether they represent value for money is entirely a separate issue for debate. The statistics covering the period April 1st to December 31st 2015 show Mr. Lamont handed in 369 separate claims (that’s more than one per day) totalling £23,234.11. These included £10,427 for office costs and £5,900 for travel expenses. A random sample of 33 members who served mainland seats and are representative of all political parties at Holyrood failed to produce a higher figure than Mr. Lamont’s. And it was usually his Tory colleagues who featured near the top of the expenses league. Two other members of the Conservative group, Alex Fergusson (Galloway & West Dumfries) and John Scott (Ayr) claimed £19,519 and £18,485 respectively. Turning to the list MPs, the Tories again appear to have raked in more than most with Murdo Fraser (Mid Scotland & Fife) on £18,756; Jackson Carlaw (West Scotland) at £14,386; Alex Johnstone (North-east Scotland) £17,143 and Mary Scanlan (Highlands & Islands) £16,608. Mr. Lamont’s latest claims appear to be the continuation of a trend. In the past political opponents have dubbed him ‘the most expensive’ MSP in the Parliament following annual sums claimed of £30,385 in 2012/13, £33,676 in 2013/14 and £27,631 in 2014/15. His out-of-pocket expenditure for 2015/16 (so far) leaves Sturgeon, Davidson and Dugdale trailing in his wake. The leaders’ respective claims under the heading Member’s expenses are a modest £9,712 for the former First Minister, £8,559 for Ms. Davidson and a totally paltry £2,064 for the Labour leader in Scotland. The combined spending of the three ladies comes to £20,355, well short of Mr. Lamont’s achievements. If that comparison appears unfair, how does his spending stack up against that of other Borders politicians from other parties? Paul Wheelhouse, Mr. Lamont’s SNP opponent at the May elections was a list member for the South of Scotland last time round. Like his Tory adversary, Mr.Wheelhouse has an office in Hawick. The figures show Paul Wheelhouse submitted 107 claims totalling £8,674 between April and December last year. Office costs came to £3,878 and travel swallowed up just £210, a fraction of Mr. Lamont’s hefty £5,900. Yet the two men live a few miles apart in Coldstream (Lamont) and Ayton (Wheelhouse). Meanwhile in neighbouring Midlothian South, Tweeddale & Lauderdale SNP MSP Christine Grahame, who is seeking re-election, submitted 122 itemised claims worth £12,196. Her office costs were £8,112 with travel claims amounting to £1,386. The conclusion is that having Mr. Lamont as an MSP has cost more in expenses than Ms. Grahame and Mr. Wheelhouse combined. It will be up to the voters to decide which ‘models’ have produced value for money in the past and which ones might cost more to run in the future. John Lamont of the Scottish Conservative and Unionist Party was elected as MSP for Ettrick, Roxburgh and Berwickshire. I will stand up for the majority of the Borders who support Scotland’s place in the UK and hold the SNP to their promise that the referendum was ‘once in a generation’. I will always put local people first. My priority is the Scottish Borders, ahead of party politics. I will stand up for local services and local jobs. The Borders is being let down by a central belt focused SNP Government who do not understand the importance of a local NHS, local policing and other public services. Great to speak to so many former Lib-Dem and Labour supporters who are voting for me on Thursday. In Ettrick, Roxburgh & Berwickshire the choice is between me and an SNP candidate whose number one priority will be to push for a second referendum. Emphasising his close vote at the 2015 GE. Persuading swing voters to his cause. I will always put the Borders ahead of party politics. Unlike SNP politicians, I’m not bound by any internal rules banning me for criticising my party. My number one priority is standing up for the interests of local communities in the Scottish Borders. A constituent commented: But the Conservative split over Europe is unedifying. The Conservatives are deeply divided into Euro unionists and Euro separatists. More party discipline is required, how could anyone vote Conservative when the party position on Europe is so unclear. Why is Nicola Sturgeon Former First Minister. Did she resign…!!!! Is it because she is asking the Scottish public to re-elect her? There is a good election leaflet for the area, if someone was bright enough to print and deliver it. Thinking about that, doing things like that could have been a SNP strategy from the start. The idea could be great for up and coming 2017 Council elections. The separate sheet listing all the failures of the present Councils. Who was responsible for what, and the effects and costs on the local community. No wonder he wanted to desert his Holyrood seat andhad off to Westminster as hecould askfor even more expenses.Thak goodness he didin.tsucceed with his evil plot. Now it is over to the electorate to deprive this moneygrubber and get rid of this costly member. Histime has come tobe sent packing. and yet thatr nou=ositin is the Paisley lass so bored o Westminster she IS STANDING AGAIN > Hippocrite ! My mp Ronald (Ronnie to ma pals) Cowan spoils your theory, Margaret. He is a serial deleter of people and comments that he disagrees with. Why is he an MP when he is repulsed by the majority of his non-SNP constituents?